Hi! I'm Nate, and thank you for visiting my site. 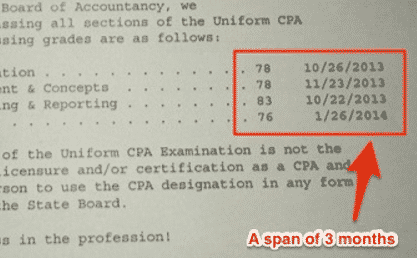 I've got a lot of great advice and resources to help you pass the CPA exams much faster than you thought possible. Why I can help you: After trying the "normal way" of studying for a few months and failing FAR, I came up with my own study methods and then passed all 4 sections in 3 months.